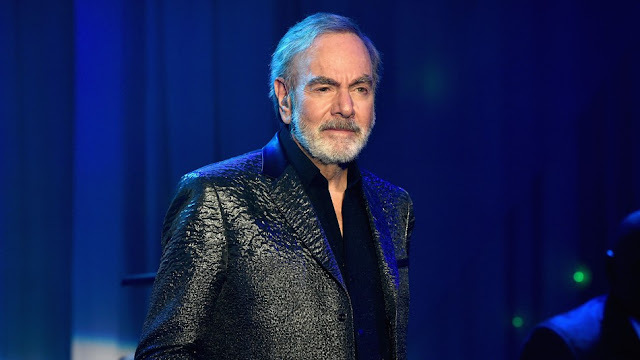 After revealing that he has been diagnosed with Parkinson’s disease, Neil Diamond announced that he would be retiring from touring. He made the announcement on 22nd January, Monday only two days before his 77th birthday. The Sweet Caroline singer cancelled the latest leg of his 50th Anniversary tour on doctor’s orders, which had been scheduled to begin in New Zealand in March. The music icon posted a statement on his website in which he said that he was very disappointed and reluctant to announce his retirement from touring as he had enjoyed doing the public shows for the last 50 years. He also offered apologies to all those fans who had already bought tickets to his shows and had been planning to come. He continued to explain how the onset of Parkinson’s had had an impact on his traveling and performing on a large scale, but assured everyone that he would still be able to continue his recording, writing and development of new projects and would continue doing so for a long time. The singer said that he was very grateful to his loyal and faithful followers as they had been his encouragement and support throughout his work. He used the terms ‘so good, so good, so good’ for thanking his fans as it is the refrain that his fans sing to him when he performs the chorus of Sweet Caroline. As a matter of fact, it has also become a fixture at big sports events. Diamond’s last performance had been at the end of 2017. He had also participated in the New Year Eve’s festivities at Times Square in New York. He started his 50th anniversary tour in Fresno, California April, 2017. The news of his diagnosis and retirement comes only days before he is scheduled to receive the Lifetime Achievement Award this weekend at the Grammy’s.